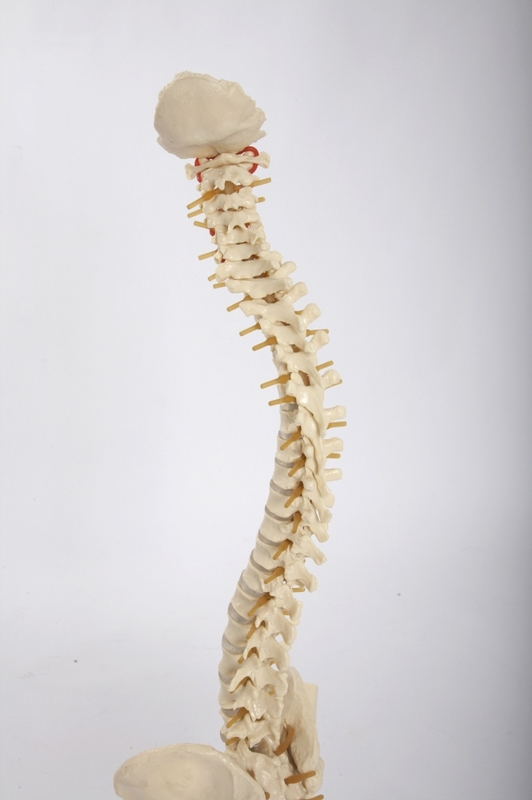 Have you ever heard of a spine transplant?…Some of the most common injuries that we see in this period are from those little home maintenance jobs, whether this is in the garden preparing for all those summer gatherings, or those DIY jobs that have been waiting since winter to be completed. All in all, it is important to look after your body during these busy months. So, your answer to the question at the top of this article was most probably no, and neither have we, so look after the one you have! You’ve probably heard the phrases and sayings such as ‘spine of a team’ and ‘backbone of the business’, and there’s a reason for this as your back is a very important part of your body. It is a complex arrangement of muscles, discs, ligaments, tendons, nerves and bones, and when this arrangement is damaged or affected this can be uncomfortable or cause a lot of pain, as some of you may already know. One of the most common causes of back problems is a bulging or ruptured disc, these can affect the muscles, nerves and ligaments in that area. Discs are the shock absorbers of your body and are situated in between each vertebrae, they are extremely important to the stability and function of your back. Bulging or ruptured discs can be caused by a sudden movement such as reaching or stretching too far, bending over or sitting for long periods of time, or lifting objects that are either too heavy or have been lifted without using the correct body form. It’s rarely the last movement however, more ‘the straw that broke the camel’s back’ by an issue that’s been painlessly building up. Once back injuries have been caused they can often last for anything between a few weeks to months on end, so how can you prevent this? 1. Build up your activity slowly, even if it is just gardening, don’t do too much all at once. The same goes for exercise. Your back is less likely to be in shock if you gradually increase your activity. 2. Be active but pace it! Make the most of the weather and the long days. Strong muscles help support your vertebrae and the discs in between. 3. Eat Healthy to supplement your exercise and give your body the necessities to be strong. 4. Demonstrate good posture to prevent stress on your back. When standing or walking your shoulders should be back and stomach tucked in. When sitting, try to use a pillow or object to support your lower back. Your feet should be flat on the ground and knees below your hips. 5. Use the correct form when lifting heavy objects. Bend your knees and use your leg muscles to lift, rather than your back muscles. 6. When you’re in a position for long periods of time such as sitting at a desk, in a car or standing up, take time to stretch your back to keep it from becoming stiff and rigid. Following some simple tips and techniques in your daily routine can be highly beneficial for the health of your back, not just for doing your summer jobs or training for an upcoming run, but also for the long term. The most important thing is to enjoy the outdoors pain and problem free. For more information about you own back pain you can use our FREE online Ask A Physio or give us a call at one of our clinics.